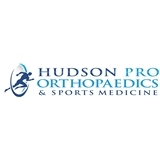 Hudson Pro Orthopaedics & Sports Medicine (Hoboken) - Book Appointment Online! While all areas of foot and ankle pathology are addressed, HPO specializes in Reconstructive and Trauma Surgery with an emphasis on Sports Medicine Dr. Azzolini focuses on surgical and non-surgical care of both the ankle and foot as well as both acute and chronic sports injuries. He possesses advanced surgical skills and vast clinical experience in all areas of ankle and foot medicine and surgery. He utilizes the latest technologies and advanced techniques. He is a surgical partner at Surgicore of Saddle Brook, NJ. Dr. Azzolini is very knowledgeable and personable!! Very helpful in making it easy for me to understand my diagnosis and how best to treat it! Would recommend him to everyone and any one! !